If the extensive library of colorways for the Kyrie 1 hasn’t impressed you yet, Nike plans to sway you with this upcoming ‘Deep Pewter’ release. This colorway of the young superstar’s first signature model uses bright vibrant colors such as Volt and Crimson to contrast the greyscale elements of the upper, midsole, and outsole. This achieves a unique look and fans of the Kyrie 1 will surely appreciate this creative colorway. Those who are not impressed with recent releases might be intrigued to pick this colorway up and get their feet wet. No word on an official release date yet, but stay tuned to WearTesters.com for any upcoming information. 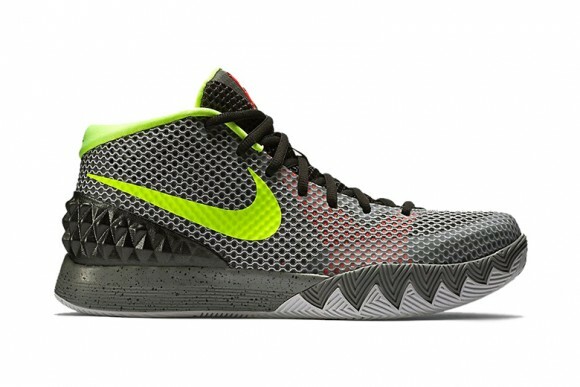 The performance review for the Kyrie 1 can be found here. did they ever release this one?